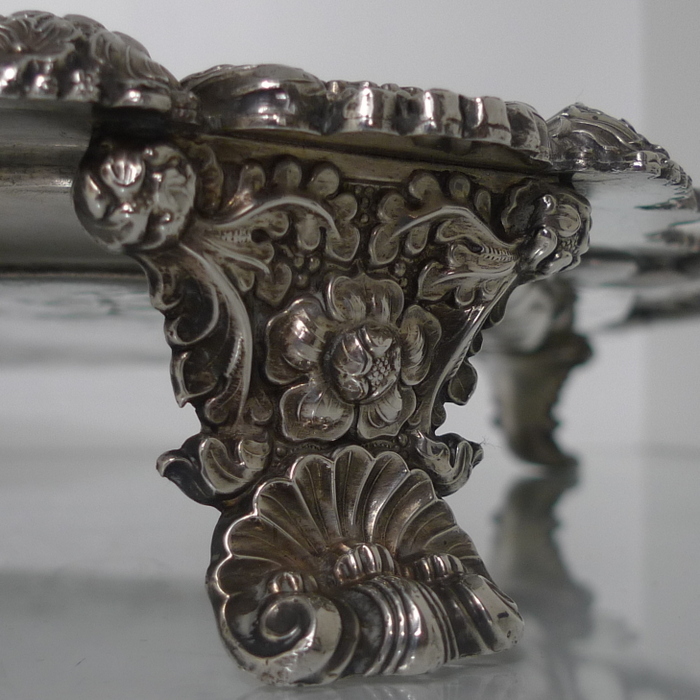 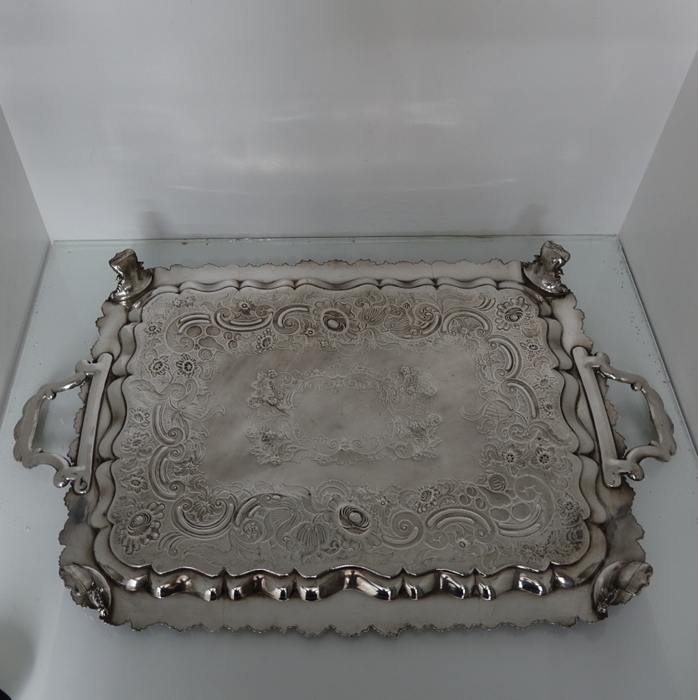 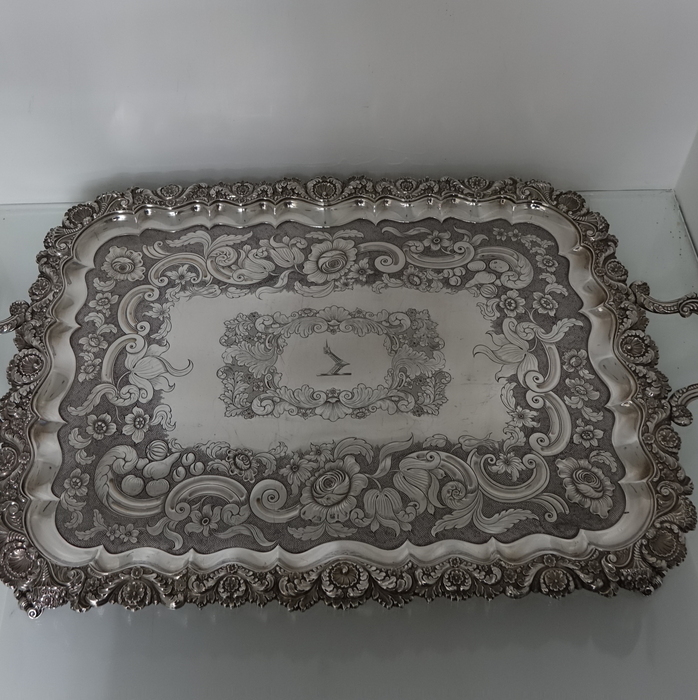 A very large and beautifully crafted Old Sheffield tray on four ornate feet. 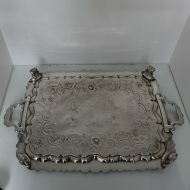 A very large and beautifully crafted Old Sheffield tray on four ornate feet. 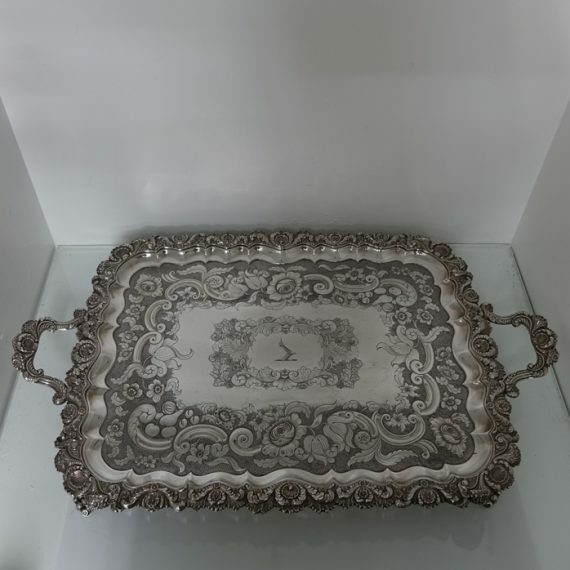 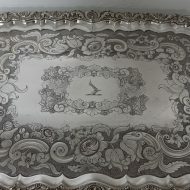 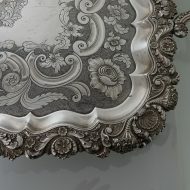 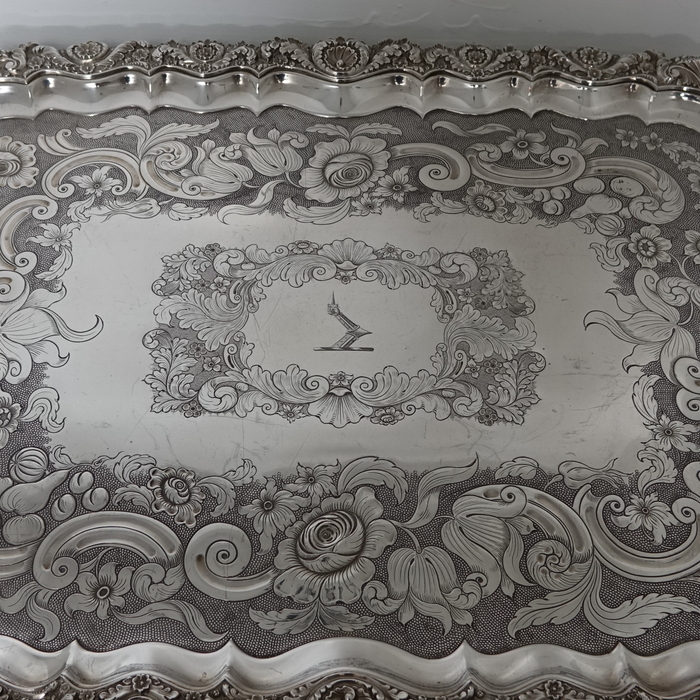 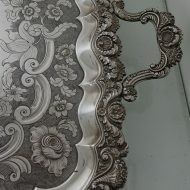 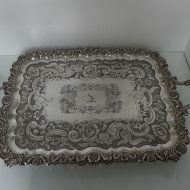 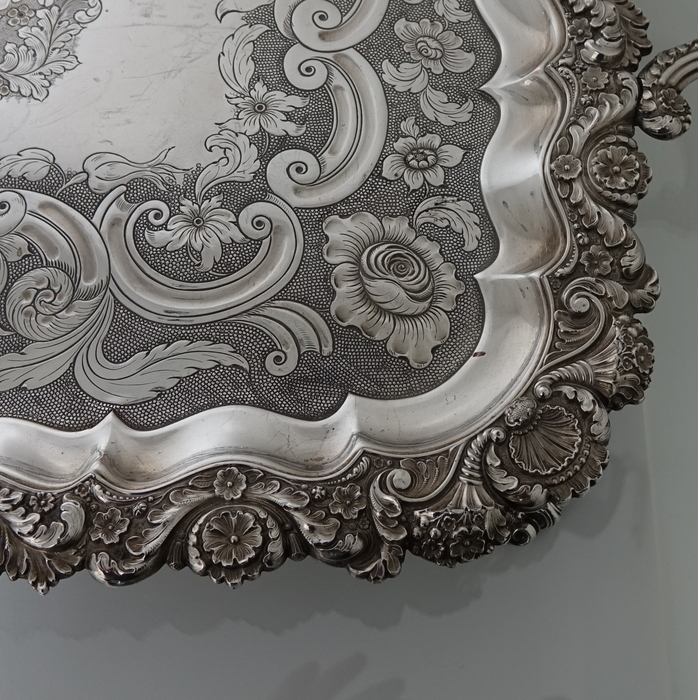 The workmanship of the tray is stunning throughout with a very crisp floral and shell border for decorative highlights. 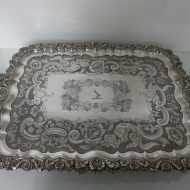 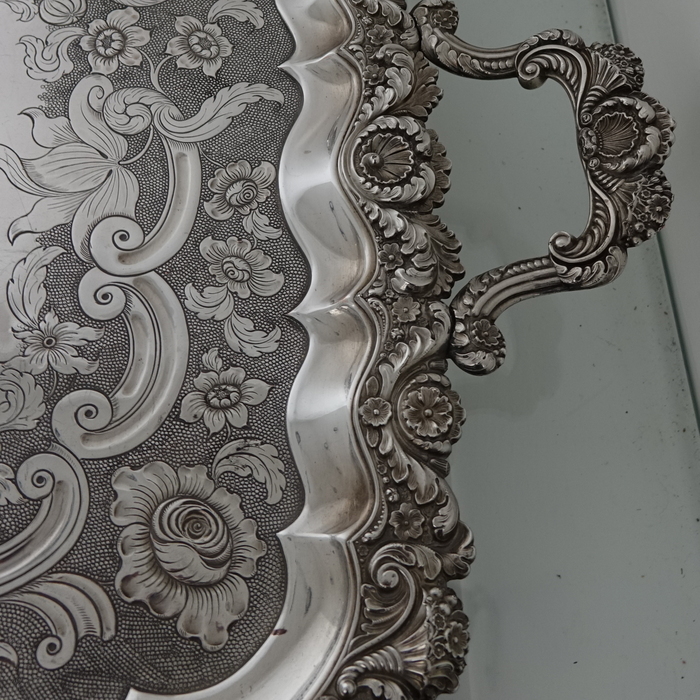 The base of the tray has additional floral and shell engraving set on a stylish matt background. 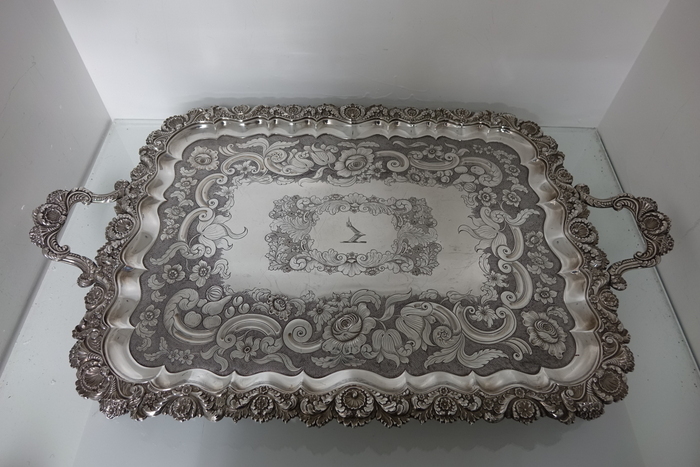 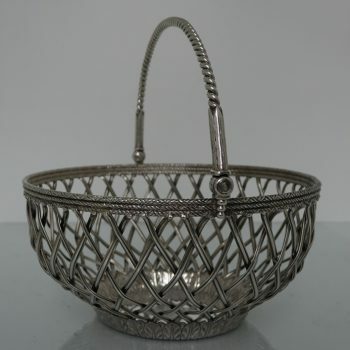 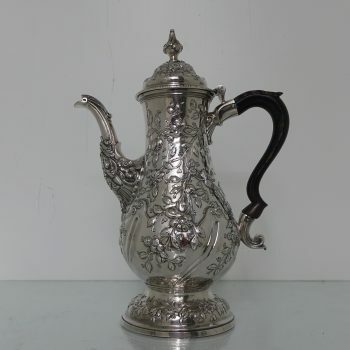 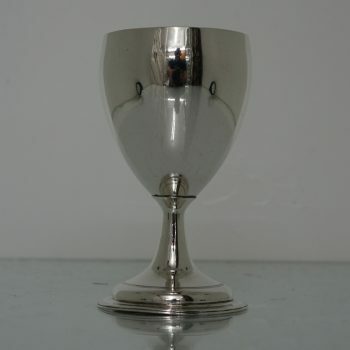 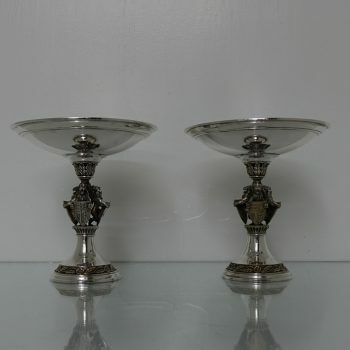 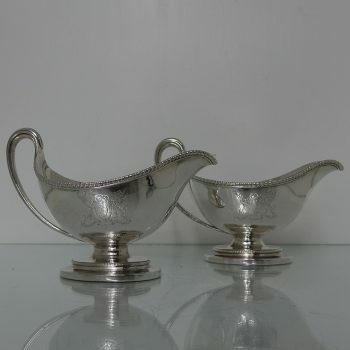 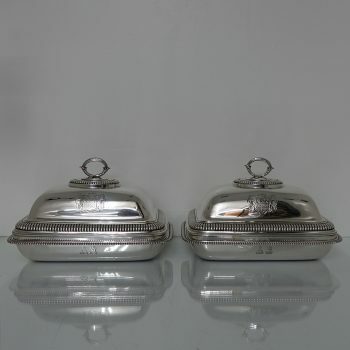 The centre of the tray has a elegant cartouche in which sits a beautiful crest for importance.